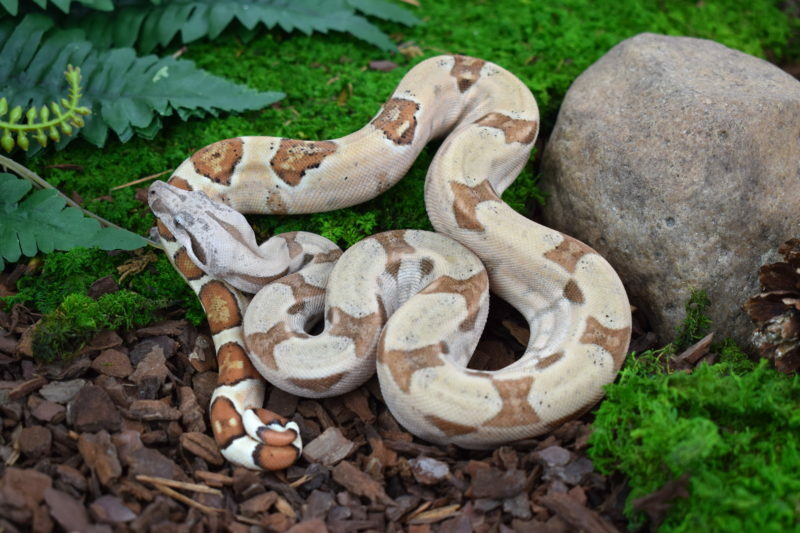 One of the first breeders of hypo boas has been Rich Ihle who gave them the name Salmon Boas. So Salmon boa is just another synonym for hypo boa and links to the line of Rich Ihle. The hypo genetic not only causes the reduction of the black pigments it also makes colours clearer and more brilliant. In other words these animals offer endless potential for the serious breeding of other Designer Boas.